Kabwata PF Member of Parliament Given Lubinda has maintained that he will remain loyal to the ruling party, Patriotic Front. 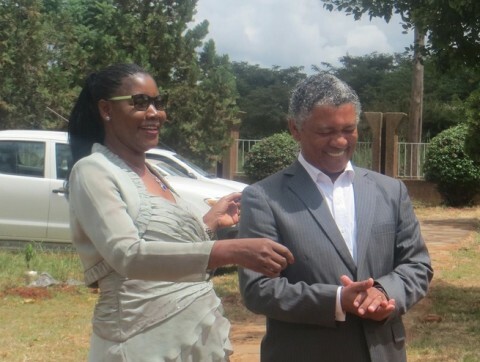 Speaking to QFM News in an interview, Mr. Lubinda hopes that 2014 is a year of God’s blessings for everyone in Zambia and he will not waste time to listen to those who want to frustrate him. Mr. Lubinda explains that it is unfortunate that there has been too much hatred by people who do not want to see others succeed in their future endeavors. He says God has better plans for everyone and that he is grateful for everything because god has shown him the right way to live at peace and unity. Mr. Lubinda adds that he is also confident that 2014 will bring more light to work hard in his constituency and deliver to the expectations of the people. He stresses that there are quite a number of developmental projects going in Kabwata constituency among them rehabilitation of kamulanga clinic in kamwala south, and building of at least two police posts within the constituency.